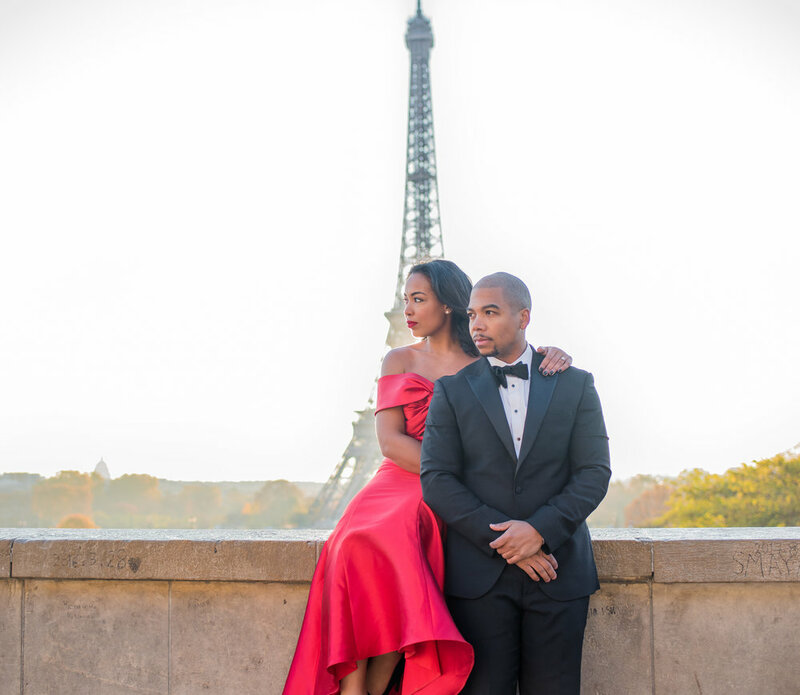 We are so excited to showcase our Paris engagement session of Marche and Michael. When Marche first contacted me about her vision of a four day multiple outfit Paris engagement photoshoot; the foreshadowing of how epic this adventure was going to be already materialized within my mind. As a photographer, there are many locations within the world we would love to take our camera and Paris is most definitely one of them. The architects of this beautiful city created the perfect canvas and allowed Marche and Michael’s love to engulf the streets of the City of Love. Below are some of our favorite photos from our Paris session. We toured the Musée du Louvre and played on a carousel in front of the Eiffel Tower. Walking the streets of Paris at night inspired intimate moments at cafes sipping rich hot chocolate and taking candid shots. We ran across the roundabout in from the Arc de Triomphe dodging cars not knowing they had a tunnel that connected you directly under the Arc. We endured 30 degree weather and the early mornings just to avoid the crowds but at the end it was all worth it. Laughs and romance for this beautiful couple. The Union Market DC gave it to us and we gave it back. Can’t wait for Ashlee & Denaz’s wedding – it will be fantastic. I had the best time with Kemah & Julius a few weeks ago. We did a nice walking tour of some of Capitol Hill and the Meridan Hill (Malcom X) Park. See some of my favs below! From proposal to engagement session. Nothing but fun and laughter with Camille and Terry at National Gallery of Art & Thomas Jefferson Memorial. There are very few times that I offer my services pro bono. However, while on my family vacation in Belize, I couldn’t help but notice the interaction between this newly married couple. I walked over handed them my business card and asked if I could take a few photos of them for their wedding day. It’s was an amazing experience with a beautiful couple. Tarah & Akuei spent time touring National Capitol Columns on a late afternoon for their engagement photos. We topped it off with a visit to City Center DC for a few intimate photos and stopping traffic to get a wide shot of them holding each other for a money shot in the middle of traffic. Below are a few of our favorites; we hope you enjoy!! 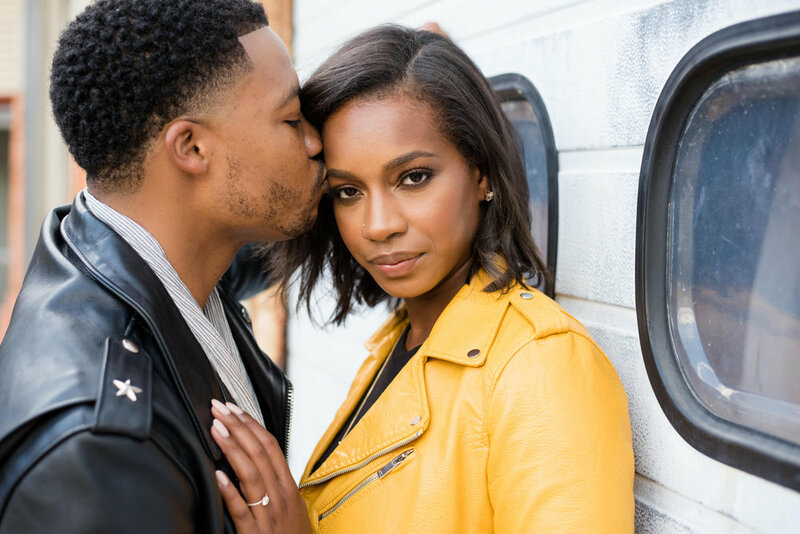 Erica & Ricardo spent time touring the National Gallery of Art and Union Station on a late afternoon for their engagement session. We topped it off with a quick visit the cherry blossom and a local park for a couple of kisses.